As Sheffield is now a Gigabit city powered by City Fibre, the UK’s largest alternative network provider, Sheffield can now access a scalable full fibre connection starting at a guaranteed minimum speed of 500Mbps. Working in partnership with City Fibre, Digital Exchange can now offer this ground-breaking technology to all commercial and public sector organisations in the Sheffield region. Understanding the positive impact a full fibre connection can have on your business is not something to be ignored. 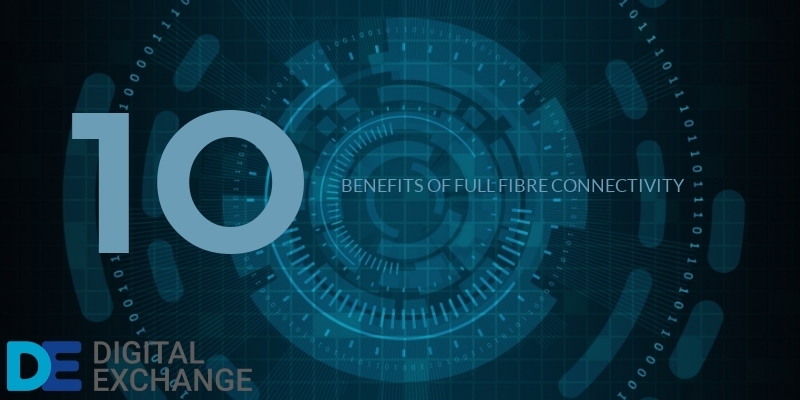 To that end, Digital Exchange have listed 10 benefits of full fibre connectivity to your business. How many resonate with your business? 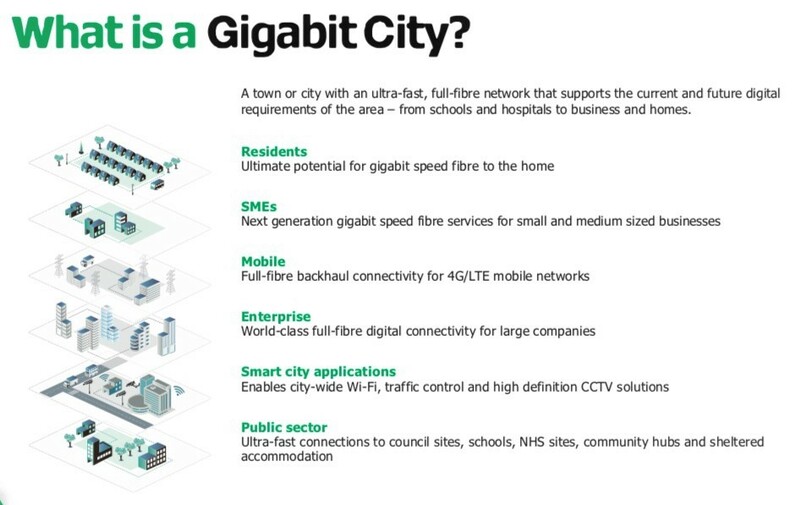 City Fibre is the UK’s largest alternative Full Fibre network provider and builder of Gigabit Cities, currently, there are 27 cities with access to Full Fibre Infrastructure. As part of the UK government’s vision for a Full Fibre Britain. City Fibre have ambitions to roll this out across the whole of the UK in the coming years. In the Yorkshire regions, Leeds alongside Sheffield represent two of the largest cities in this area. We can provide ultra-fast connectivity from as little as £290* per month for 500MB! Staggering speeds with complete reliability and scalability. * Subject to availability & survey.